Some people in our comments recently were hoping that when Cossacks 3 [Steam, GOG, Official Site] is released for Linux, that it would see the Linux version on GOG. The good news is that it will. If you didn't see our last bit of info on it, the developer stated that the Linux version is getting the finishing touches, to launch soon! Sure, we'll include the Linux version in GOG for sure. Maybe there will be a slight delay, as they usually perform Q&A prior to any release on their store, but eventually it'll get there. I'm glad it is as it means more of you will be able to enjoy this RTS! I'm really excited to see it on Linux, can you tell? I'm hoping it will release on Linux :-) ... that's another game I'm really looking forward to. Hopefully Cossacks does well and they work on another, linux compatible, STALKER. When will we see it on STEAM? Microsoft joined Linux foundation!!!. Now, Port Rise of nations to Linux or i will personally smack ur face. That's good news! I'm really looking forward to it. Best gaming news of whole day, It's been a while since I played an RTS. Once this hits GOG, GSC has my full flappy-penguin support. ◘ 6 single player campaigns. ◘ 12 additional single player missions. 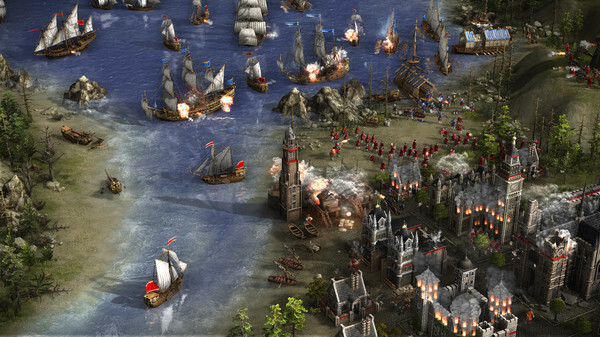 ◘ 8 historical multiplayer battles. ◘ Original Soundtrack in lossless format. That's great news! Hope to see GOG Galaxy available for Linux soon too! Good! Surprisingly, newly released Limbo didn't get the Linux version on GOG.